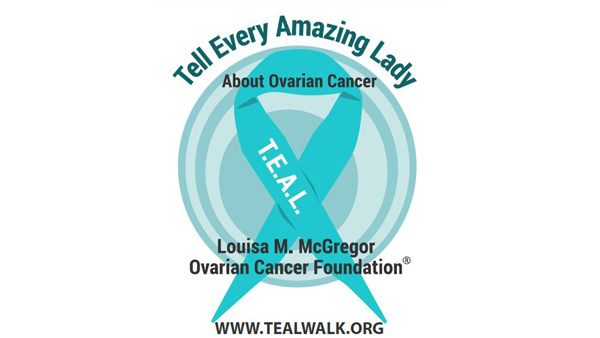 NEW YORK -- The 'Tell Every Amazing Lady About Ovarian Cancer Louisa M. McGregor Ovarian Cancer Foundation' also known as T.E.A.L. is holding its 8th Annual Brooklyn T.E.A.L. Walk and 5k Run raising money for Ovarian Cancer research and awareness. Join in the fight against ovarian cancer. The event is coming up Saturday, September 10th - rain or shine- in Prospect Park, Brooklyn NY. It starts runs from 8:00 a.m. through 1:00 p.m., celebrating the courage of Ovarian Cancer survivors and the strength of the families who've been touched by the disease, while spreading awareness to the public and raising money for research. Register for either the 2.5 Mile Walk or 5K run. Find out more at tealwalk.org/brooklyn.